It looks like half a tree to me. When we moved out of a subdivision and onto 40 acres of family land, we inherited an overgrown yard. I compiled a list of what needed to be cut down or relocated. 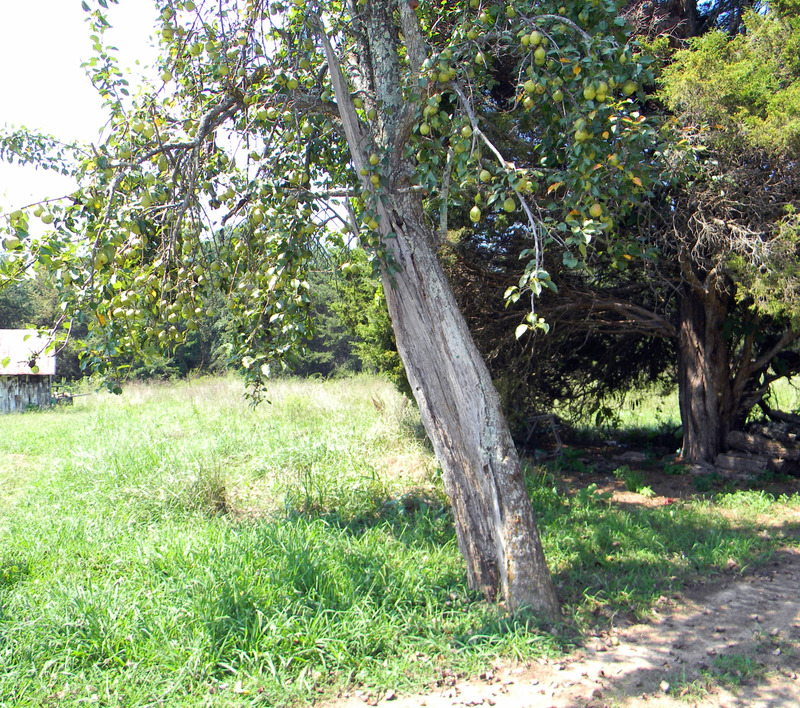 On the back side of our property was an unsightly pear tree. It leaned to the right, looking as if it was going to topple over at any minute. I wanted it gone. J believed it was worth saving. “I think it still produces. Let’s watch it for a season,” he said. I wondered if we were looking at the same tree. 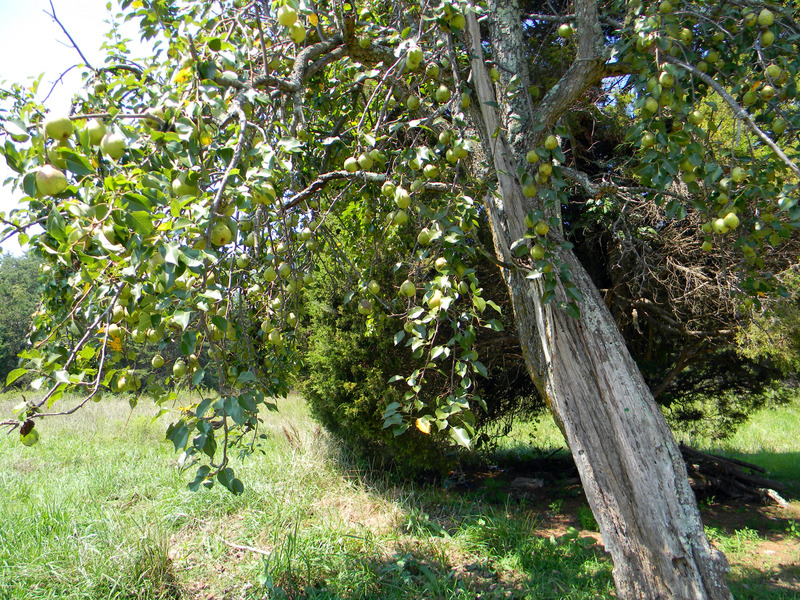 Iwas inclined to cut it down myself; surely its frail limbs couldn’t grasp pears. But I watched and waited. As our garden grew and vegetables surfaced from the ground, little white buds began to to rest on the scrawny branches. I walked the perimeter of our land today; down dusty paths and long forgotten barns and I stopped near the unsightly tree. It seemed to mock me, sarcastically quipping that I almost turned it into mulch, not appreciating the bounty it would bring. It had value to spite its weathered appearance. That old tree has endured the worst of storms, wet snowfall and scorching southern summers. Yet its roots stay grounded and it remains tall. So often in life we overlook the hidden potential or value in something, sometimes even someone. I’ so glad you were able to wait it out and be blessed by this delicious bounty! I really enjoyed visiting your blog today. Ohmy! Look at all the pears! I am guilty of judging by appearance more than I should. I can easily think young and new-fangled is better. And I sometimes wonder if this old tree can still bear new fruit. It’s absolutely beautiful. Worn and woven by time. Yup. I’m always glad God doesn’t mow me down and toss my branches into the compost pile — even though I often look ugly, he doesn’t give up on the fact that I might (occasionally) produce good fruit! …value to spite its weathered appearance. Beautiful words, these. Stopped over from Chatting At The Sky. I can’t help but see the spiritual perspective in this… that although my walk my look wilted or weathered… I’m still rooted in Him. Time to open a Farmer’s Market in your driveway. :o) That’s alot of pears.